I tried this new smoothing serum because it has something different in it from what I normally use - Matrixyl. Now, I've certainly heard of it in other products but none of the ones I've used so far had it. Matrixyl is an innovative peptide that repairs skin and aids collagen growth and while I don't have wrinkles or thin skin yet, it's never too early to start, which may be why my skin is pretty darn smooth since I started with skin care products in my 20s. BEAUTY HEALTH AND PERSONAL CARE THAT WORKS. Great For Any Skin Type - Oily, Dry, Combination. 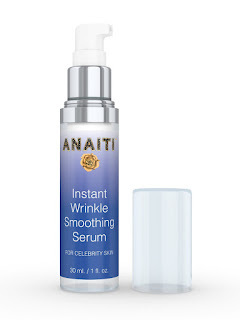 Anaiti develops cutting-edge skincare formulations that promote healthy, vibrant skin. Wrinkle Smoothing Serum uses ground-breaking advances to soften wrinkles, increase elasticity and hydrate skin. The triumvirate powering this anti-wrinkle serum begins with Matrixyl, an innovative peptide that repairs skin and aids collagen growth. Completing this serum's powerful trio of ingredients is Renovage, revered for its ability to smooth skin tone, promote a firm texture and reduce dark spots to create a fresh, dewy complexion. This new Wrinkle Smoothing Serum for Celebrity Skin is completely paraben-free, cruelty-free and manufactured in Canada at certified facilities. 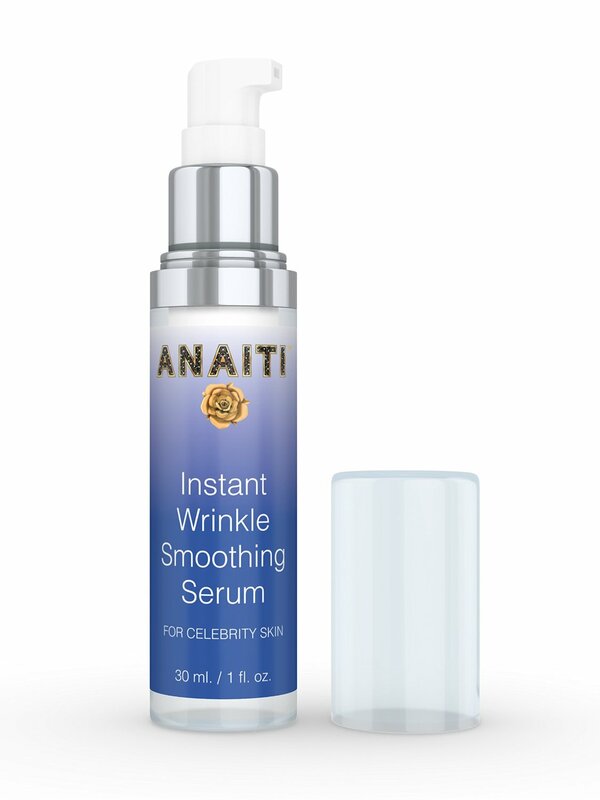 Wrinkle Smoothing Serum for Celebrity Skin by Anaiti can be used daily for instant and long-term results. Cleanse and dry skin as usual, then lightly apply serum to the face, neck and upper chest. Allow one to two minutes for serum to dry completely before covering with moisturizer, foundation, concealer and/or bronzer. With its visibly tightening effects, users can cleanse skin and reapply serum before special events. While I received this product at no charge for an unbiased review, I use it and this is my personal experience.